This brand new report aims to prompt debate about demand management and behaviour change in the public sector – and in particular in local government. 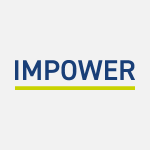 Senior local government officers told IMPOWER that demand management represents a significant and untapped opportunity. Our research demonstrates that this opportunity is worth at least £3bn, and as much as £5bn – or the equivalent of £39m on average for a top-tier authority. Yet councils report that there are significant barriers to seizing this opportunity. This paper outlines our research findings in more detail and examines how the barriers can be overcome. Jon Ainger is a Director at IMPOWER. To contact him to discuss this blog or any aspect of our work, please e-mail jainger@impower.co.uk or call 020 7017 8030.